When it comes to ideas about “branding,” small business owners often fall into two camps. Believers: You understand how a strong brand can boost business growth. 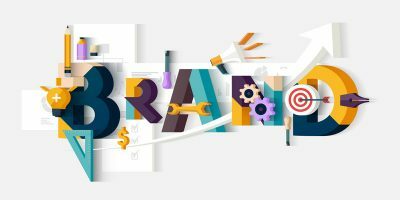 Maybe you even have the basics of a great brand story, but don’t know how to unite the many elements of branding. Skeptics: You think a “brand” is just a name or a symbolic concept with no real impact on your business success. It’s true — businesses can survive without clear branding. That’s one reason why so many people dismiss its importance. Yet, branding is a vehicle for building relationships and making better business decisions. If you ignore branding, you will take more wrong turns along the sales path and work less efficiently. Branding helps you figure out who to target and how to speak their language. Learn what key brand elements mean to develop a smart growth strategy for your business. If you ask 10 people what a brand is, you’ll most likely end up more confused than ever. Why? A brand involves tangible and intangible components, making it hard to give a concrete answer. Narrowly, you can define a brand as the name, features, slogans, and visuals that distinguish a product or company. It’s the means by which people recognize your company or products. Broadly, a brand is the sum of all the values, traits, and interactions that shape a customer’s experience. Customers have an initial response when they see a product, but their feelings can change once they use it. A successful brand has to make back-end storytelling match up with front-end expectations. People don’t fall in love with a product simply because you tell them it’s exciting or first-rate. By itself, a brand identity is a passive form of marketing you use to get people interested. Branding is the strategic choices you make to give your brand meaning and show customers what to expect when they use your products. Branding is active. It requires you to establish your viewpoint and take a stance on what you value as a business. For example, visualize the products and ads of a big brand like Doublemint. The company isn’t just selling gum. Doublemint offers peace of mind that your breath smells fresh and inviting when you speak to people. That way, you can relax and focus on enjoying life, instead of worrying about bad breath. People can find unlimited ways to convey a single concept. The language, tone, and personality you use to communicate with your specific customers is your brand voice. For example, brands like Allstate, Campbell’s, and Cheerios use a down-to-earth, sentimental approach to appeal to parents. Lifestyle brands like Blue Apron and Dove are practical and conversational. Upscale brands such as Coco Chanel and West Elm are often dramatic and aspirational. Imagine some of your favorite brands, and try to think of a few words or phrases to describe the tone of their ads or websites. Patterns will emerge that help you nail down your own brand voice. So, how do you infuse meaning into your branding? Make a promise to your customers, and live up to it. Good branding emphasizes the value and satisfaction people get out of using your product. You need an emotional hook that conveys your purpose for creating a business. A brand promise is the core problem you aim to solve for your customers. It’s the sense of trust and connection you want people to feel when they think about your brand. 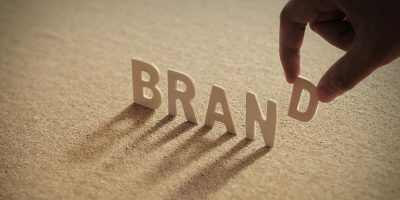 To put it simply, a brand promise is what you want to be known for. As you form a brand promise, you’ll naturally think about the ways you differ from competitors. Unless you’re launching a business on Mars, you’re usually entering a market packed with competitors. Every business needs a strong selling point to lure customers away from whatever products they’re already using. What makes you stand out? What are you doing that direct competitors aren’t? How can you go a step further to make the customer experience special and memorable? Consider how Build-a-Bear workshops shook up the toy industry. Not only could children get custom stuffed animals, but they could take part in the creation process. No two are exactly the same because each child chooses how to clothe and accessorize their furry friend. Other brands weren’t offering a hands-on workshop, which made Build-a-Bear synonymous with great customer service. Brand positioning ties together your brand promise and differentiation. 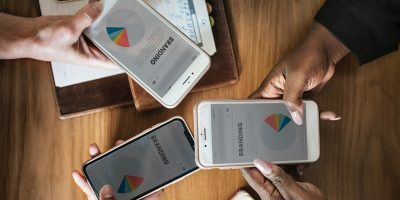 In order to distinguish your business from other brands, you have to identify your audience and how you relate to them. Are your customers mainly parents? Children? Retirees? Athletes? DIYers? Technophiles? Busy professionals? Social influencers? Positioning is how you define your place in the market. You can’t cater to everyone because customers want different things. At the same time, many businesses offer similar services. It can be challenging to figure out how your company is uniquely positioned to deliver the right solution. Picture the thousands of beds available on the market. What makes you choose one supplier over another? You might pick IKEA if you value durability and affordability and don’t mind assembling the product yourself. Maybe, you prefer a local small business if you know little about beds and want one-on-one help from a friendly salesperson. Or, you could with a high-end custom bed company to get luxurious furnishings tailored to your decor. Differentiators, such as speed, size, cost, convenience, and appearance, have a huge impact. A brand story is exactly what it sounds like — the narrative that shapes your business values. Storytelling helps you connect with customers on a deeper level and motivate them to keep coming back. Who are you? How and why did you get into business? What gaps in the market inspired you to provide better product solutions? What obstacles and victories made your business what it is today? Good brand stories include a call to action that is tailored to your target customers. Stories employ the right perspective to get a positive reaction from your audience. All your other brand elements expand and reinforce this story, so you can build lasting customer relationships. Brand perception is how people realistically view your business. You can claim to be the best home painter in town, but customers will loathe you if their paint starts peeling in a few months. Customers form expectations and opinions based on how you present yourself as a business. This is known as perception, and it can be good or bad. Every experience with your business either strengthens or undermines a customer’s perception. To grow your business, make sure customer perceptions align with your branding. Brand equity is the value of your business reputation. Basically, it’s a reward for all the hard work you put into branding and delivering great service. When customers have a history of positive interactions with your business, they see value in your brand beyond the surface value of your products. That’s why high-end brands can charge more than discount or generic brands, even if they all have similar production costs. Brand ambassadors are people outside the company who choose to promote your brand. Traditionally, many big brands paid celebrities to tout the benefits of their products. For small businesses, it’s more effective to let real customers and social influencers act as advocates. Modern consumers appreciate authentic messages and are more open to product recommendations from average people. Real customers have the same priorities and concerns as your target audience. They understand what makes your business valuable, so they can offer relevant, reliable support for your products. As you move forward with branding, think about how each element informs the others. Everything you say, do, or create to promote your business sends a message to your customers. Just like a person, a brand has many layers that evolve with time. However, you have to keep your brand image consistent with the stories you tell and the promises you make to customers.